The Lenovo Legion Y530 boasts an IPS panel with Full HD resolution (1920 x 1080) and if you choose our custom profiles, you will be impressed with the improved color accuracy, white balance, and gamma. The package contains the usual Office work, Design & Gaming and Health-Guard profiles, each of which will improve the overall image quality in certain aspects. You can read more about them and how to use them here. 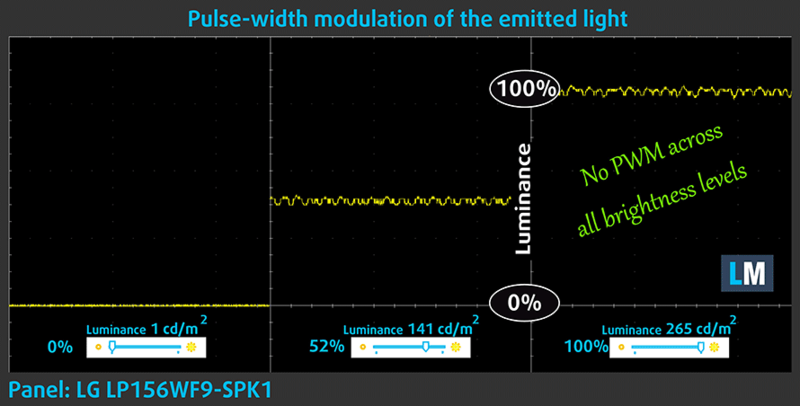 We also suggest reading our dedicated article regarding blue light emissions and PWM and how our custom Health-Guard profile reduces the Blue Light’s impact and eliminates the harmful PWM. 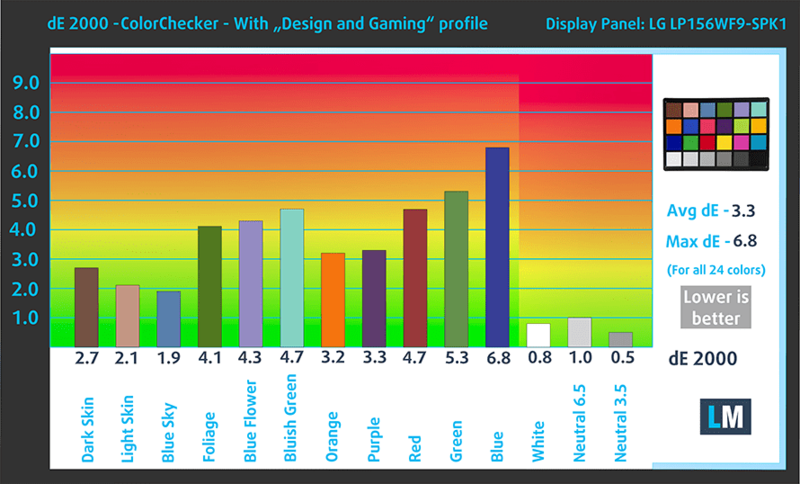 The Lenovo Legion Y530 features an IPS panel with a Full HD resolution (1920 x 1080) and decent contrast ratio (1100:1), good maximum brightness (265 nits) and very close to the optimal for the sRGB standard color temperature – 7760K. 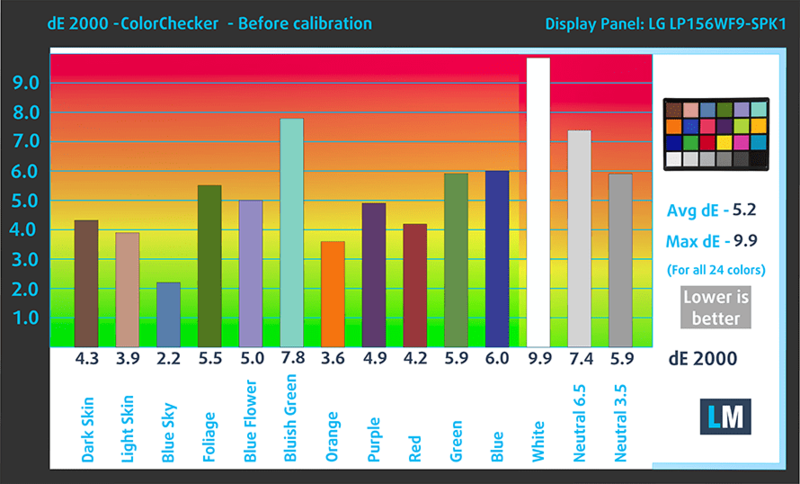 As for the Health-Guard profile, it reduces the blue light impact and eliminates PWM. 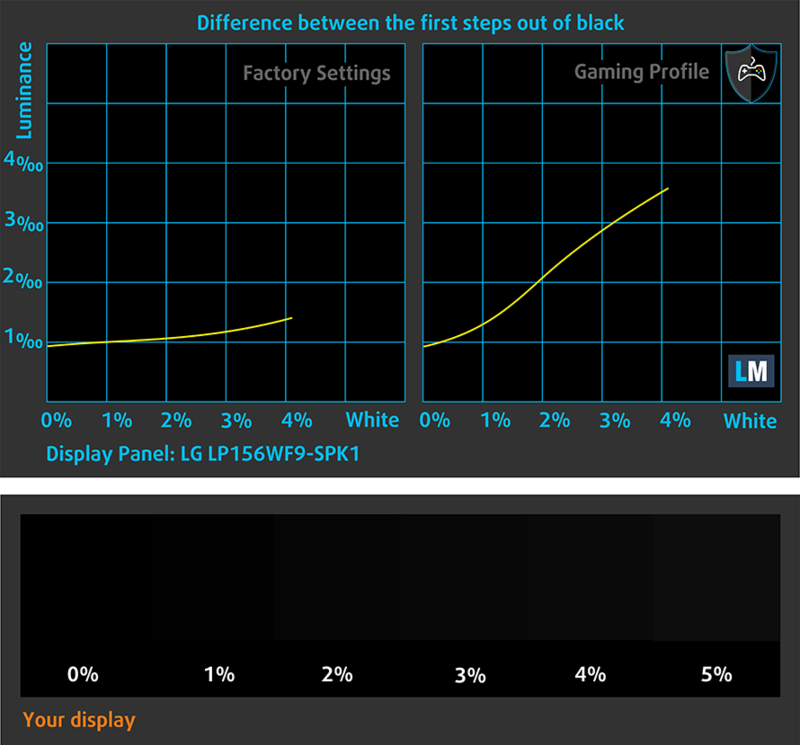 But since the display doesn’t use PWM, the profile will come in handy for eliminating blue light emissions. Follow this link to read our in-depth review. can i get a trial of gaming and design profile ?? gaming and design is definately not for certain y530 displays.. made everything super yellow.